48th scale - W 25 cm, D 19 cm, H 17 cm. 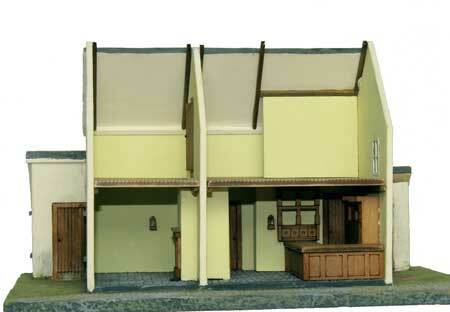 A lighting and fire pack can be fitted if required. All lights and fires will illuminate using our hidden 3v battery system. The number and type of lights/fires can be varied upon request. 48th lights and fires page. 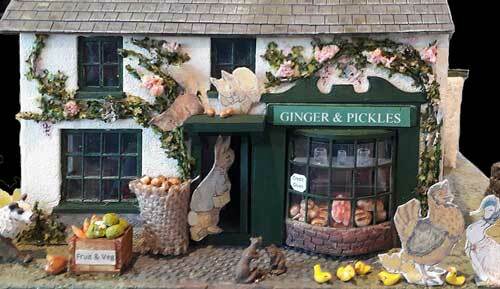 Ginger and Pickles ran the local shop. Unfortunately, they had no business sense and the enterprise failed. 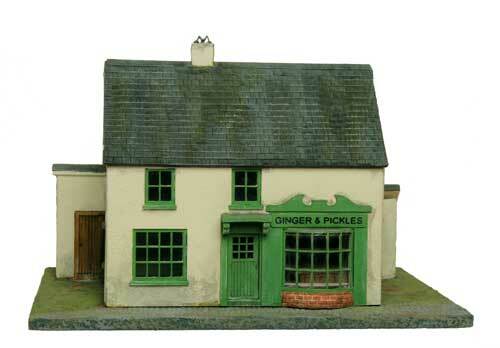 The illustrations within The Tale of Ginger And Pickles were based upon a house not far from the Tower Bank Arms. Showing inside the kitchen annex with hearth for range. 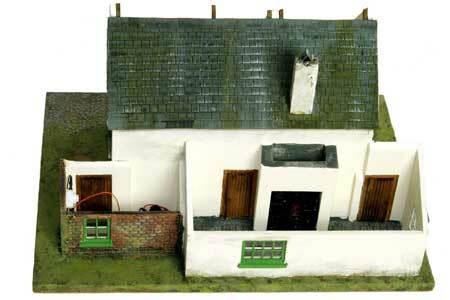 Also showing the outhouse with concealed battery. 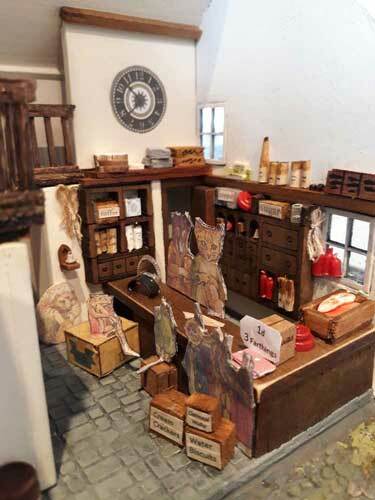 This is our model of Ginger & Pickles’ shop brought to life by Lesley Hubert who has made this incredibly accurate recreation.